Applicants must submit a completed Application for Optional Schools. Applicants must score at or above the 70th percentile in the Reading/Language Arts AND the Mathematics subtests on the TCAP Achievement Test or a current nationally normed equivalent test. On a current EXPLORE, PLAN, or ACT, eligible students must score at or above the 70th percentile in Reading, English, and Mathematics. On a current PSAT or SAT, eligible scores on Critical Reading, Writing Skills, and Mathematics sections must be equivalent to the 70th percentile. An applicant’s report card must have A’s or B’s and no more than one C as a semester average in an academic subject. D’s or F’s are not acceptable for a grade in any semester average. Applicant’s report card must show satisfactory conduct and attendance (including promptness to every class). A total of more than 15 absences and/or tardies to school or to class is considered unsatisfactory. Students must enroll in at least six IB courses in their junior year and complete their required IB coursework in their senior year. Participation in Ridgeway’s IB PREP/Honors College Preparatory program in ninth and tenth grades is highly recommended for students wishing to enroll in the IB Programme in the eleventh grade. There are other specific admissions criteria, including coursework and End-of-Course requirements, which must be fulfilled prior to admission. Such criteria are grade specific and are available to parents and students once the initial Application for Optional Schools is approved. In addition to the IB Diploma Programme requirements, students are required to take all courses required for graduation by the State of Tennessee. 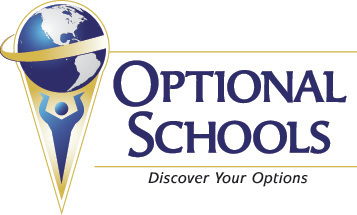 To remain in the Optional Program, students must submit a Renewal Application for Optional Schools, maintain a yearly average of 3.0 in academic subjects with no semester average below a C, enroll in the required courses, and maintain satisfactory conduct and attendance. Final approval is contingent upon review of the student’s final report card.